So, what is a secured loan? The answer is very simple. A secured loan, also often referred to as a homeowner loan is simply a loan that is secured against property – just like your mortgage is. Why is a secured loan secured on my property? Unlike unsecured loans where the loan value is limited, secured loans allow you to borrow from £5,000 to £2,500,000 and because of the higher value, the lender secures this against your property secondary to the mortgage. A major benefit of a secured loan is the low rates available to homeowners. Rates can often be significantly less for customers that the unsecured loan options available to them. Difficulty with credit in the past? For customers who may have had difficulty with credit in the past and are looking to consolidate and rebuild their credit score, securing a loan can be a great option to help them reduce their monthly credit repayments. You need to be a homeowner with an existing mortgage. The mortgage must be a first charge on your property, and a Second Mortgage will sit behind it. At Loans Warehouse we conduct 'soft searches' which do not affect your credit rating in any way. 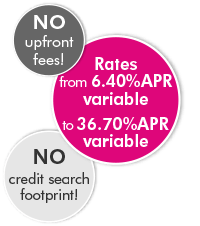 We promise not to leave a footprint on your credit rating. Have a question not listed here? Visit our FAQ section. What is a secured loan application process? We aim make the secured loan application process as simple as we can for you. To start your application, apply online now and we’ll contact you within the hour and provide a no-obligation loan quotation. 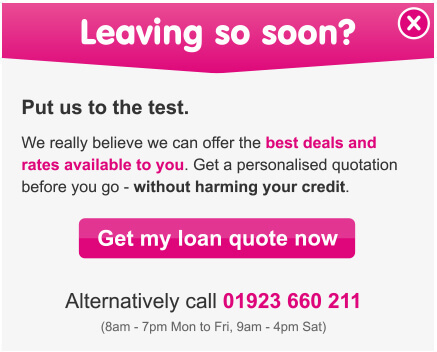 Once you are completely happy we can then guide you through the process to make sure you loans completes as quickly as possible for you. Apply now, one of our team will call you straight back and we could give you a decision on your within the hour. How would you rate your credit currently? You will only be contacted by Loans Warehouse, your information will never be sold to a third party.